I know I've been pretty quiet as usual, so I'm just dropping by to show you something that I've been working on. This is Candy Connect, an iOS game I got to work on some time ago. I was in charge of creating its graphics, and the final result is what you're seeing up there. I'm pretty happy with everything, especially considering it was my first time working on a proper game! Anyway, it was a super fun project to work on, and I hope I get the chance to work on other games soon! 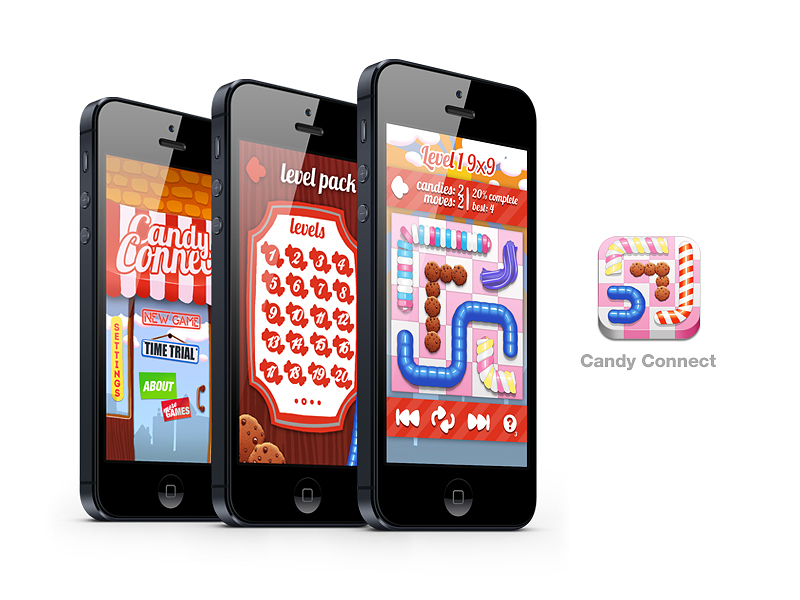 Candy Connect will be available on the App Store soon.